Kate Middleton is rumored to be pregnant with child number two. Although the rumors have not been officially confirmed, gossip magazine Celeb Dirty Laundry says that Kate Middleton is convinced that she is having a girl and is planning on naming her Diana. Much like the hype and admiration for Princess Diana, Kate Middleton’s life is closely followed by fans that look up to her storybook journey to becoming royalty. However, Queen Elizabeth is reported to be extremely upset about naming the child after Princess Diana. Hype of a potential new Princess Diana has many people anticipating whether the pregnancy rumors are true or false, and what the royal reaction will be when the child is born. However, the rumored news seems to be overshadowing another royal event that recently took place: Prince George’s 1st birthday. The party was held at Kensington Palace and the entire family was present, save for Prince Charles and Camilla Parker-Boweles. 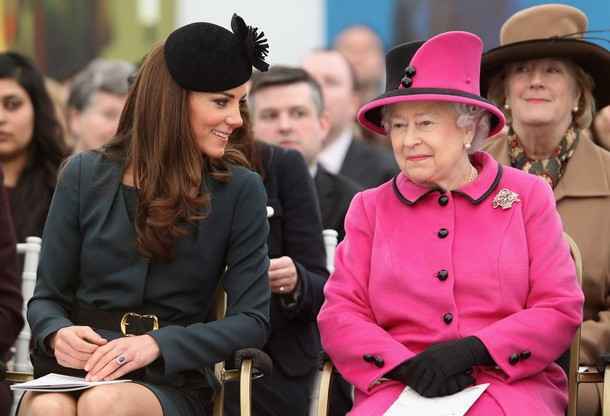 More rumors reveal that Camilla’s presence was not wanted by Kate Middleton, according to Celeb Dirty Laundry. Undoubtedly, Kate’s pregnancy and name choice will be widely talked about for at least the entirety of the pregnancy. Rumors are sure to run rampant regarding the situation until the pregnancy and name are officially confirmed by Kate Middleton or Prince William directly. Only time will tell if Queen Elizabeth will openly accept the future offspring with regal delight or if a royal rumble will occur and cause turmoil within the family.